Bars are not just about the drinks they are serving, but the people you are with. And in some Sydney bars, holding a conversation can be a real challenge over the pounding music and bubbling chatter. If you are looking for a night of good drinks and better banter, here are the best quiet bars a round Sydney where can actually hear each other talk. 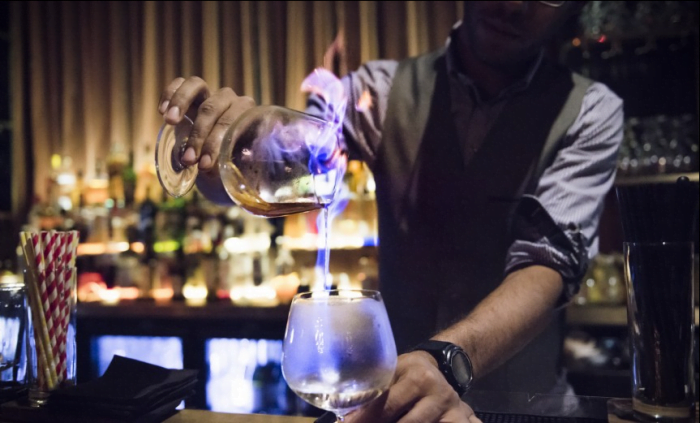 With it’s many intimate corners and only the sounds of some light jazz filling the bar, you’ll certainly be able to speak easy at this Darlinghurst speakeasy Eau de Vie. As a Prohibition-style drinking den, cocktails are their bread-and-butter and they do them well. Their ingenious cocktail list includes many of their own contemporary creations alongside classics. One of the most refined, eloquent quiet bars around town. Eau de Vie, 229 Darlinghurst Road Darlinghurst NSW, Monday – Saturday 6pm – 1am, Sundays: 6pm-Midnight. 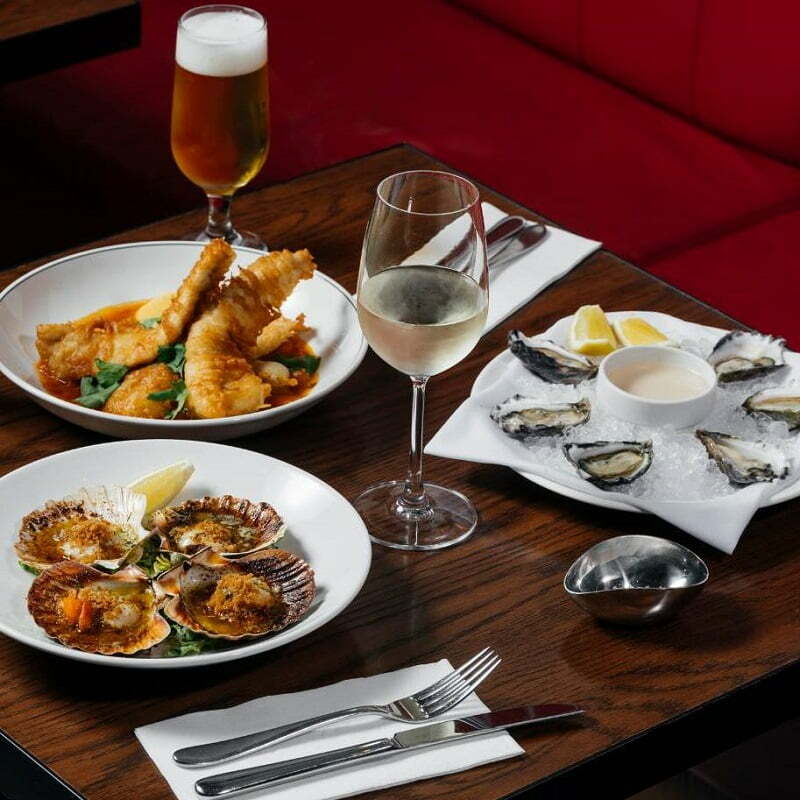 Harts Pub is a Sydney favourite for just a simple, easy night out, located right in the heart of The Rocks. In the beautiful heritage-listed building, Harts toast Sydney’s past and present with some icy-cold craft beer. It’s not the fanciest place in The Rocks but that’s exactly the charm. Expect old-school Aussie pub vibes with classics on the menu to match. It’s a place where you don’t have to dress too fancy or fuss too much, this is a true-blue Aussie pub. Harts Pub, Corner of Essex & Gloucester Streets The Rocks Sydney, Mon- Sun 11:30am – late. This little gem hidden away in the middle of Sydney’s CBD is a perfect place for you to unwind after a long day at work. Situated around the corner from the cinemas on George Street sits Assembly, a funky, little cocktail bar. It’s truly one of the best quiet bars on weekdays. 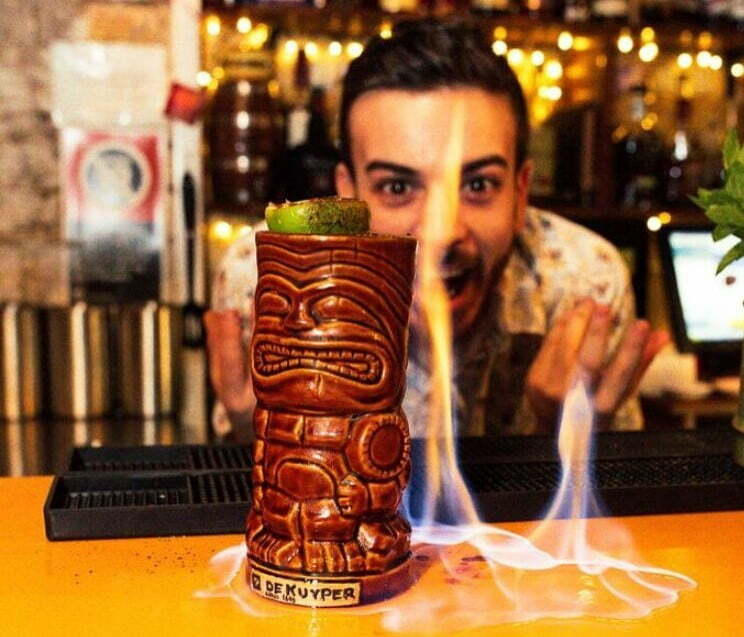 Their bartenders deliver amazing service as well as some quick-witted banter. 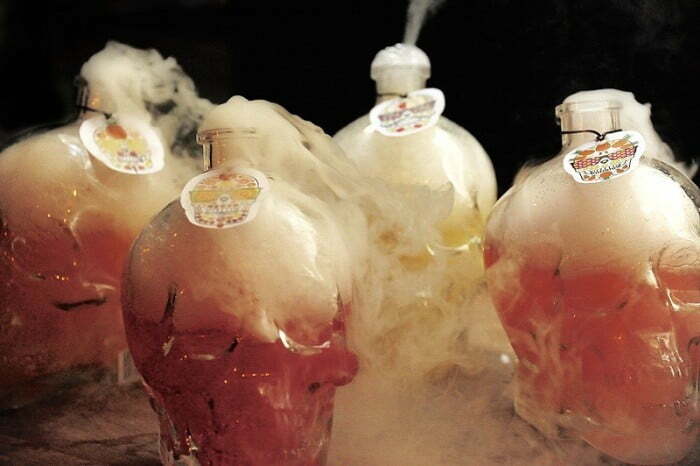 Try one of their Dry Ice Cocktails, bringing some Cinco de Mayo flavour all year round with drinks like Dead Man’s Punch, served in a crystal skull. Or just ask the bartenders to mix something up for you, they’ll find what you like. Assembly, 488 Kent St Sydney NSW, Mon – Sun: 12pm – 12am (closed 3pm – 5pm). 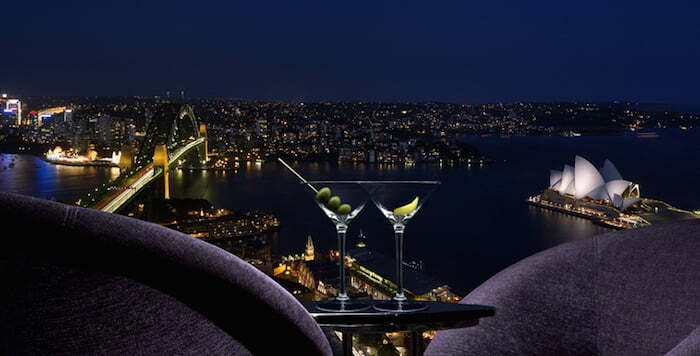 Gaze down onto the beautiful city with a cocktail in hand at this ultra-cool cocktail bar, located on the thirty sixth floor of the Shrangi-La Hotel in the Rocks. The perfect place to get away from the crowds, as you gaze on the city and harbour views before you. The dreamy atmosphere is matched with some amazing cocktails, created by Sydney’s most talented mixologists. Neil Perry’s darling, Rockpool Bar and Grill is a pinnacle in Sydney fine dining due to it’s upscale menu, stellar wine list and of course, sophisticated and soft atmosphere. Sit in the immense dining room, or perhaps up by the bar and take in the amazing art-deco design, complete with stone pillars and high-scaled ceiling. Simple is done well here, with ingredients from Australia’s very best producers, matched perfectly with their extensive wine list. Just like your granny’s sofa, there’s something very comfortable and a little retro-glam about one of Sydney’s smallest bars, Grandma’s. This cheeky underground bar off Clarence Street in the CBD doesn’t scrimp on good times, with exciting cocktails served in a very intimate space. Grandma knows best after all. However, like most quiet bars around Sydney, avoid peak times to ensure you get the true tranquil experience. 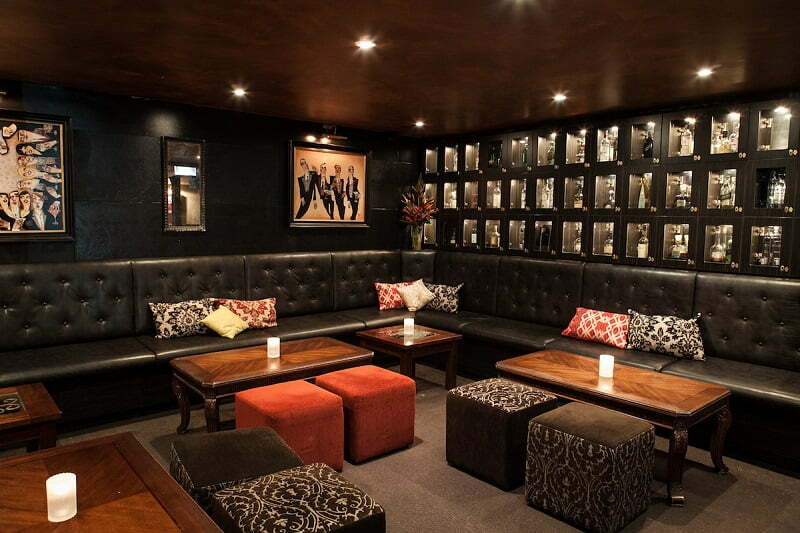 Grandma’s, Basement 275 Clarence Street Sydney, Mon-Fri: 3pm- late, Sat: 5pm- late. The Golden Bar and Cinema in Surry Hills brings back some old-school glamour to Sydney. Their drinks named after iconic people, moments and movies in Hollywood’s history ranging from the Godfather to Mean Girl. This quiet, dark little place is a real find for those looking for a quiet yet glamorous place to catch up. The Golden Age Cinema & Bar, Lower Ground Floor Paramount House 80 Commonwealth Street Surry Hills, Tues- Fri 4pm- late, Sat- Sun 2:30pm- late. Love bar hopping? Check out this guide to The Best Bars to Visit in Surry Hills.